The Australian beer world isn't short of winemakers turned brewers, with some of the most successful contemporary craft brewers such as Brad Rogers (Stone & Wood), Ben Kraus (Bridge Road) and Jayne Lewis (Two Birds) having crossed over. There are plenty of wineries that have added beer to their roster too, both in "slap a label on something and call it ours" and "invest in a brewery and learn how to make beer" form. 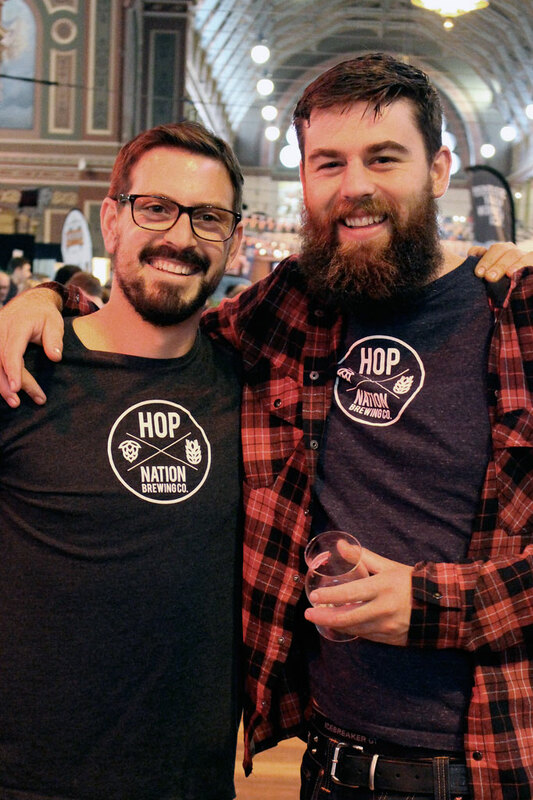 We're not sure whether we've had a grape and grain crossover quite like that of Hop Nation, the latest brewing company to launch in Melbourne. It's the lupulin lovechild of Kiwi mates Duncan Gibson and Sam Hambour, winemakers who met while making wine in Central Otago, have made wine all over the world and are still making wine full time now in Victoria. Yet, amid their wine travels and travails, they have found the time to start transitioning some of their beloved home brew recipes into full scale commercial releases. "I met Sam in New Zealand and we started brewing on a 100 litre system at the winery where I was working," says Duncan of his days at Peregrine Wines, having originally opted to study wine at 18 "because it had a good picture on the front" of the course material. While brewing there they would make full use of the advantages at hand, chilling their beers with the winery's glycol system. A love for beer developed, which was enhanced on their travels to work at harvests around the world. "I made wine in Burgundy a few times, in Mosel in Germany and in north and south Italy, as well as the Napa Valley," says Duncan. "They have great wine but great beer as well." For the past year, Sam has been working at the highly rated Paringa Estate on the Mornington Peninsula, while six months ago Duncan took up a position at Yering Station in the Yarra Valley. Reunited in the same part of the world, they began brewing together again and laying down ideas for what would become Hop Nation. And, last month, they headed to Hawkers in Reservoir for their first commercial brew. "We were there for the whole brew day with [head brewer] Jon [Seltin] who helped a lot with the scale up process," says Duncan, who then returned to keg and bottle their beer too. "We want to remain part of it. Both of our backgrounds are in production and that's what we really love about beer." The first three beers to be released, which will form their core range, live up to their "In Hops We Trust" mantra and make up a hop series of sorts. Not a single hop showcase as such, but three different hop forward beers that they believe showcase the best hoppy beers from around the world. At the end of May, they released The Fiend, an Australian IPA based around Galaxy, with a touch of the underrated local hop Summer and some Topaz in there too. At just 5.4 percent ABV and 40 IBU [international bittering units], it's fairly restrained, with a very pale malt base (including distinctive imported pilsner malt) allowing the fruity hops to lead the way. Next up will be the Rye PA, a US-inspired Rye IPA that will be bigger in every respect before a Cascadian dark ale (a hoppy dark beer style) using Kiwi hops completes the trilogy. "We're both from winemaking backgrounds so, while we know terroir doesn't really exist in beer we wanted to have it," says Duncan. "We wanted this to be Australian; it's a beer we started brewing a couple of years ago." The name refers to the sort of fiends who crave something, in their case hops, and has lent itself to a pretty eye-catching label: a convict / hipster complete with hop and Southern Cross tattoos being led away in cuffs. 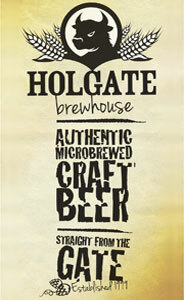 The aim with all three beers is to take "the things that we love about beers from those countries," he says. 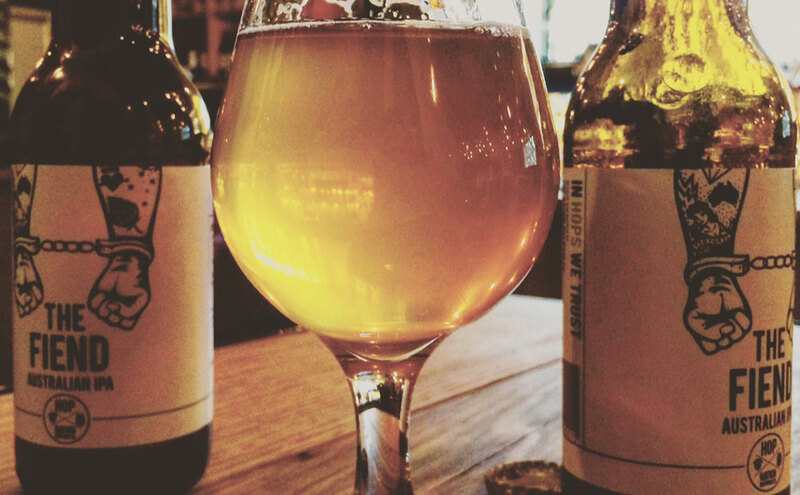 "I spent time in Oregon last year and loved the beers over there with the amazing US hops." They reckon it will take six months to get all three beers out and are weighing up whether to open their own licensed premises and eventually do some smaller scale brewing there too. For now, The Fiend can be found on tap and in bottle around Melbourne with some available from a couple of online retailers and discussions underway with a bar in Brisbane to send some north too. Ultimately, Hop Nation's success may lead to a departure from the wine world. But for now Duncan says it's the similarities between the sides of their booze-producing that appeals. "Winemaking has this link between agriculture and primary industry – making something from the land. It's the same with beer. We're value adding and giving [agricultural products] a unique twist." 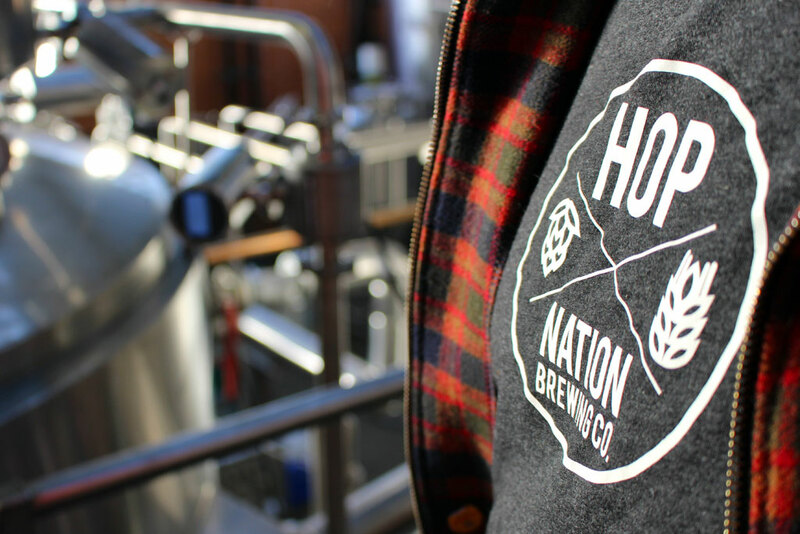 You can keep tabs with all things Hop Nation via their website.